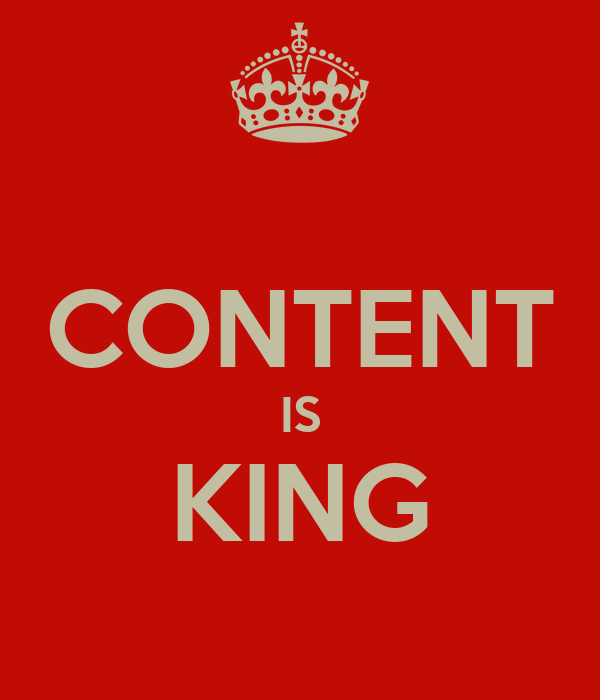 They say content is king, and after working on and reading dozens upon dozens of successful content marketing case studies, I’d have to agree. But, like every great “man,” content has a great “woman” by his side (NOT behind him). In this case, our queen is none other than every digital marketer’s best friend: SEO. At a recent conference, I listened to a talk in which the speaker emphasized how you shouldn’t put all of your effort on SEO because the content and customer service are what matter most. Yes, I agree. But here’s the thing about SEO. Marketing isn’t the “Field of Dreams.” Just because you build it doesn’t mean they’ll come. In order to make your content effective and ensure it reaches the maximum number of people, you must have a solid SEO strategy. Now, once you’ve brought them to your site using SEO, you better have great, helpful content in place and a customer service team ready to answer questions or you’ll see no return. It’s a symbiotic relationship, and just like the king and queen, you really can’t have one without the other. Here are a few ways to make sure you’re offering quality content and effective SEO. Good content gives the audience what they want. What’s the benefit for my audience? Don’t get caught in the features-only mindset. So what? After you write a piece of content, ask yourself so what? Why does my audience care? If you can’t answer that, it’s back to the drawing board. What’s working? Use analytics to find which content is getting viewed the most and make sure you create more content like that. SEO doesn’t – and shouldn’t – mean keyword stuffing. We’ve all read those blog posts and articles that were written purely for SEO. They sound robotic, idiotic, and just plain wrong. And they are. Four to six times throughout the copy (if copy is 500 – 700 words long, which it should be for the best chance to get found). To learn more about incorporating SEO into your brand’s content, follow Andy Crestodina’s blog or attend one of his webinars. You can also check out Lee Odden’s book “Optimize.” I’m about a third of the way through and already in awe at all of the learnings. So, as you can see, King Content and Queen SEO are best when used in tandem. To really get the most bang for your digital marketing buck, make sure your content is high quality, helpful and puts the customer – not the search engines – first. Reblogged this on DI93IG WP.